Work on the construction of the new hut, the current Quintino Sella Refuge, began in 1980 and lasted two years, until the opening of the facility on August 29, 1981. The laminated wood structure was built by Ascoli Piceno's firm, Arch Legno. This structure covers an area of 19.20 m x 6.4 m; on the ground floor there are common rooms, the kitchen, living room, entrance, and bathrooms, while the two upper floors are used as bedrooms and dorm rooms. The new hut can accommodate 140 people, and to complete this project 120,000 kg of building materials were carried in by helicopter. Over the years, the hut has been further updated with the construction of an external addition used as a toilet and the subsequent installation of an Imhoff tank for sewage purification. For safety reasons and ease of use, in particular with snow and ice, a fixed rope was installed to function as a handrail for the entire length of the ridge, and a small wooden bridge was also built. In 1993 the refuge was further expanded, adding a 6.4 m2 addition to the existing structure. Thanks to this expansion, a new kitchen was built on the ground floor: large and spacious, fully tiled with stainless steel surfaces, so as to meet the requirements of the new regulations. The upper floors became the lodging of the refuge’s managers and the storage area. 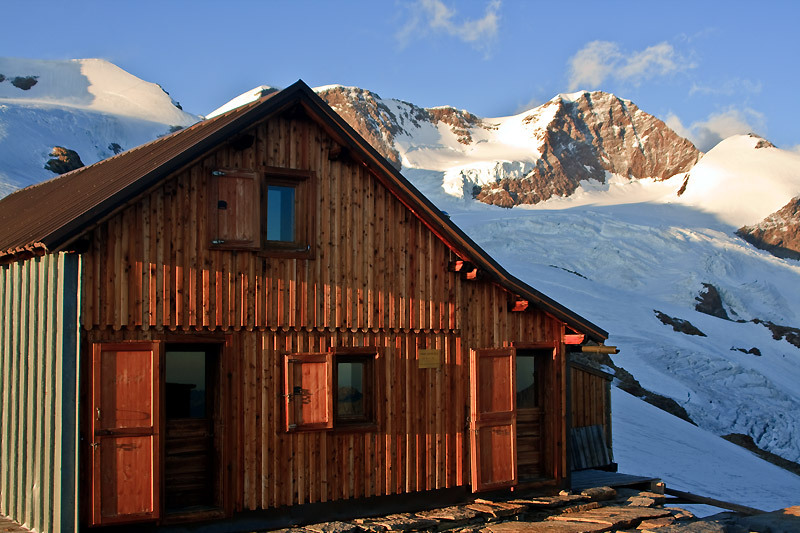 In 1994, thanks to an experimental project by the Research Center ENEL, the hut was equipped with solar panels. This equipment is capable of delivering a full 3.5 KW at 220 Volts for about 8 hours a day, providing energy for most of the needs of the refuge. 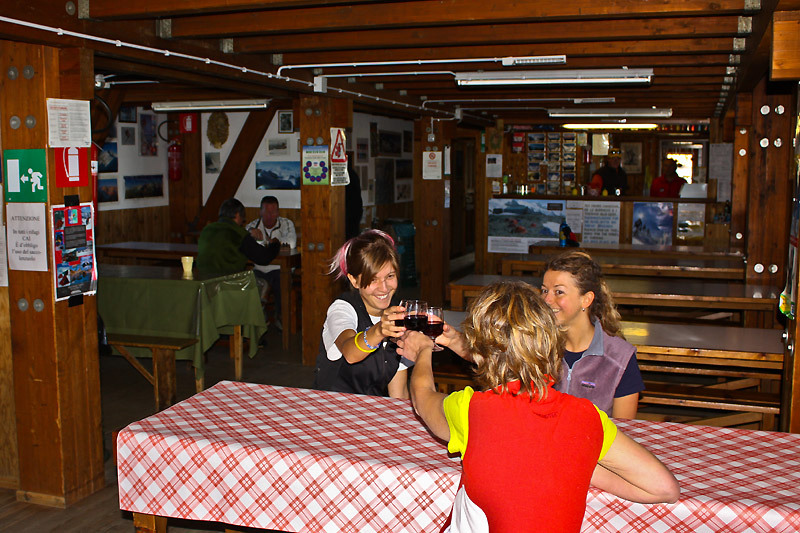 The long History of the Quintino Sella Refuge at Felik, for now, stops here. More than a century has passed, and many were the winds and storms that have battered the hut, many the stories and the events that happened. As current managers of the refuge, we believe it is important to remember and to be grateful to many people: the managers, designers, builders, and custodians who have worked to maintain the refuge in full efficiency. 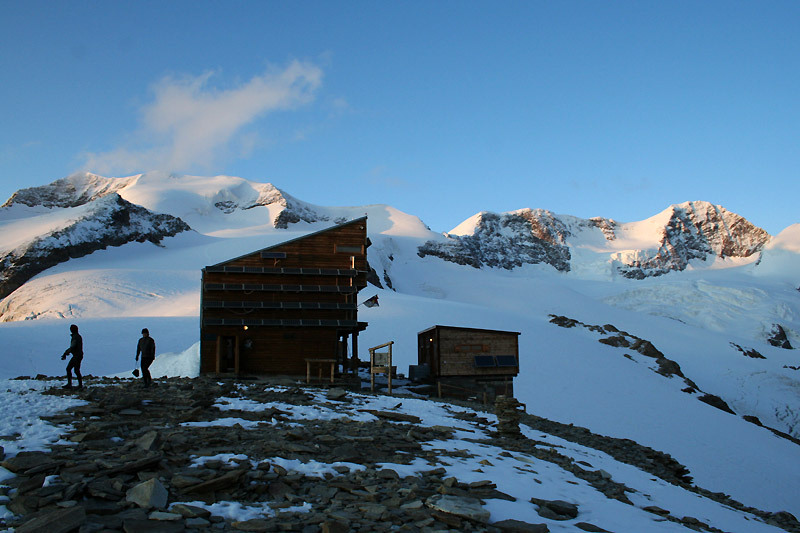 Many people, often anonymous, have worked to improve the Sella hut. It is thanks to the vision, the fatigue, the tenacity, and the love for the mountains of all these people that it was possible to achieve this magical dream, the Quintino Sella Refuge at Felik, and its long history.